Viva La Kiva at the Beach! Escape and fall in love with beautiful Gulf Shores, Alabama! 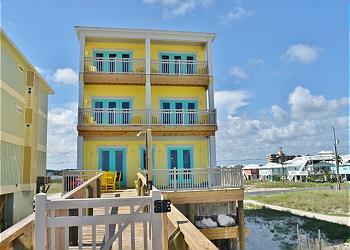 At Gulf Shores Vacation Rentals you can find the best Gulf Shores beach house rentals for your vacation getaway. Our luxurious rentals feature breathtaking views of the ocean, sugar-white beaches, and a laid-back family atmosphere. Choose from a variety of vacation rentals, from 4 bedroom beach bungalows to large family-reunion beach houses. Our well-appointed rentals are beautiful and accommodating for all group sizes. We have an array of Gulf Shores house rentals that can sleep up to 36 people or accommodate couples groups with king or queen beds and lots of private bathrooms. Home rentals with private swimming pools, elevators, and media rooms are available as well. 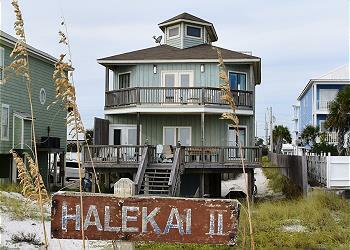 You will feel right at home with our Gulf Shores rental homes. Whether it is a family vacation, golf or fishing trip, reunion, retreat, team tournament or just a journey to the sun and sand, we have an array of luxury Gulf Shores beach houses and duplexes that are sure to fit your vacation needs. While staying in one of our Gulf Shores rentals, you'll find that you are conveniently located near all the best Gulf Shores attractions. Many of our properties are located on the beachfront and near waterways, perfect for fishers and those with boats. Or, if it's relaxation you're craving in Gulf Shores, visit one of the many golf courses or nature trails. Our Gulf Shores rentals are mostly located in laid-back West Beach with un-crowded beaches, yet they are close to everything that city offers. Our rentals are always clean and nicely furnished. We do everything we can to make your visit as enjoyable as possible so that you love your visit and will continue to stay with us again and again! Let us help you make your Gulf Shores Vacation unforgettable. Give us a call today and we will help find you the perfect Gulf Shores rental.